Book Review: "Why Did Grandma Put Her Underwear in the Refrigerator?" "Why Did Grandma Put Her Underwear in the Refrigerator?" is a short story which explains Alzheimer's disease to children. 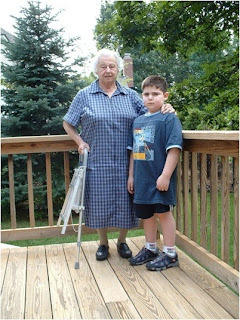 It is written by 17 year old Max Wallack who, at a young age, lived with and was a caregiver for his great grandmother. This may be the best book I have read about Alzheimer's and advanced dementia care. It is simple and should be read by every person, adult or child, who knows someone with Alzheimer's disease/dementia. Which means, everyone in the world should have a copy of this book. Why is this books so wonderful? There are many reasons why this book is so great, but as a mother of a child who lived with his grandmother with dementia, I feel that there is no other book like this out there for kids like my son Jeffrey. While other children's books about Alzheimer's have been good at helping explain dementia to Jeffrey, most of those books talk about kids who do not actually live with their grandparent with dementia. Rather they talk about how to visit with their grandparent who usually lives in a nursing home. This book is the first good resource I have found for kids who live with a loved one with dementia and really captures what life is like for them. Being a caregiver as a child is difficult. They have to figure out how to be a child in an environment that is not always kid friendly. It can also be scary and sad for them to watch thier grandaprent change and get sicker. It is hard for them to figure out how to communicate with their loved one as the dementia progresses. This book talked honestly and compassionatly about these issues which can help kids understand living in a situation that most of their friends will not be experiencing. My son Jeffrey's review of the book (below) will help explain how a child relates to the book. The other great thing about this book is that it is quite advanced in it's understanding of good Alzheimer's care. Even many of the books written by doctors in the profession do not talk about how to effectively communicate with and care for people with dementia. For instance, the grandmother in the story gets frightened by a kitten, and the child, Julie, rather than "reorienting" her by telling her grandmother that the cat is a kitten and not to be afraid of it, Julie instead tries to make her grandmother feel better by telling her about her day at school. In the old, yet still often taught, way of Alzheimer's care, caregivers are taught "reality orientation" where you would correct the person and tell them that the kitten really is not scary. Such as saying "Remember, that is our kitten Molly who you have known for years. She is not scary. Let me put her in your lap so you can pet her." This kind of care increases agitation and can result in destructive behavior. Can you imagine, if you thought that kitten was a scary lion and someone plopped it into your lap? The poor kitten might go flying across the room! Instead, as the book shows, entering into the world of the person with dementia and knowing that they see things differently than we do allows us to effectively help them deal with their situation. There is another great part in the book where Julie helps her grandmother eat by putting her food on a red plate. Again, this is advanced dementia care. People with Alzheimer's often need high contrast in order to see things well. Sometimes they can not see chicken or mashed potatoes on a white plate and so they do not eat, start to loose weight and can become malnourished. Changing the color of the plate increases their ability to eat. The same contrast can be used in many other situations such as the common problem of incontinence. Often people can not see a white toilet that is on a white wall so if you paint the wall behind the toilet dark blue, they can find the toilet and incontinence decreases. In the book, Julie also uses art as an activity with her grandmother. Julie says, "Grandma never forgets how to make great drawings." This is the essence of the work we do with the Carolyn L. Farrell Foundation for Brain Health. We use art as a form of care. Humans seem to never forget how to be creative and use their imagination. If we can tap into that ability then we can create meaningful activities for people with dementia which increase their joy and decrease agitation and depression. "A lot of the book sounds like when we lived with Beep (that is what we call his grandmother). There was the part where the girl dresses up for Halloween but it scares her grandmother so she has to take off her costume and can't go trick-or-treating. Sometimes there are things I couldn't do when we lived with Beep because it upset her or was too confusing for her. That would make me mad but I also knew she was sick. I wanted to be able to do what other kids could do at home. The girl in the book also had fun with her grandma though, and I had fun with Beep, like our Edamame War. I understood the book and it sounded a lot like our life, except Beep is a lot sicker now." Both Jeffrey and I recommend this book and I already bought five copies so we can give them to others who need it. At 17 years old, Max Wallack is no stranger to Alzheimer's disease. 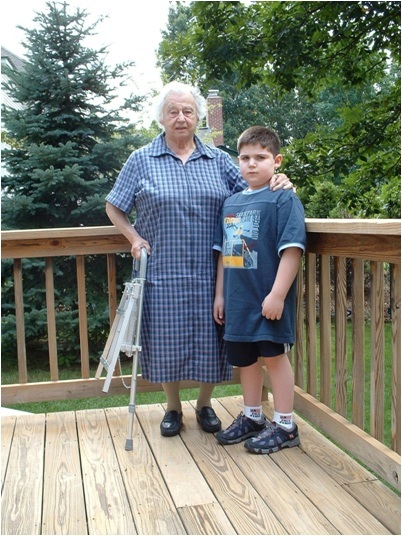 At the age of ten, he was already a seasoned caregiver to his great grandmother, Gertrude, who lived at home with Max and his family. 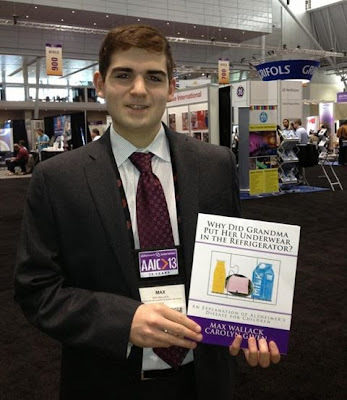 Mr. Wallack is a student at Boston University and a Research Intern in the Molecular Psychiatry and Aging Laboratory in the Department of Pharmacology and Experimental Therapeutics at Boston University School of Medicine. Max is the founder of PUZZLES TO REMEMBER. PTR is a project that provides puzzles to nursing homes and veterans institutions that care for Alzheimer's and dementia patients. Carolyn Given is an experienced caregiver herself and an accalimed middle and high school educator with particular interest in intergenerational programming. Prior to her teaching career, she served as her town's Council on Aging Director and later became cover-story writer and editor of The Senior Advocate (now called the Fifty Plus Advocate Newspaper), a Massachusetts-based mature market publication. Most recently she was the recipient of an award from the Soul-Making Keats Literary Competition sopnsored by the National League of American Pen Women. Labels: book review, caregiving, children, children's book, Max Wallack, Puzzles to Remember, Why Did Grandma Put Her Underwear in the Refrigerator? About a year ago, Mom went on hospice care and I wrote about the assumptions people make when you say someone is in hospice. At that time, I knew Mom had time left with us, but I did not really think we had another year together. I am glad we have had so much time and it looks like we will continue to. However, this means that she has been taken off of hospice and I wanted to share with you 5 things I have learned from this experience. Technically to qualify for hospice, the doctors have to evaluate you and believe that you have six months or less to live. You are reevaluated every three months in order to get "recertified" to remain on hospice. However, to put it bluntly, if you are not dying fast enough, you get taken off hospice. This means that even though your loved one is dying from their illness and you can not care for them alone, you now loose a lot of the help that allowed you to care for your loved one 24 hours a day. Do you know all the things you loose from going off of hospice? You no longer have aids to give baths, a nurse on-call when emergencies arise, a nurse who checks for changes in the patient regularly. You loose all the supplies like the diapers, bed pads, wheelchair, mouth swabs, pillows, wipes, ointment, and more. This makes a big difference for two reasons, one is that some of these items are hard to find in the regular world, and second the cost for these items is outrageous and not covered by Medicare anymore once you go off of hospice. Do you know how hard it is to find real adult diapers? Not Depends or something like that. Adult diapers that actually hold full amounts of liquid and solids, that open up like a diaper, and are made of materials that do not induce chafing and bed sores. It is really hard. Even the medical supply stores do not have the hospital grade undergarments needed for bed-bound people. It took weeks to find these for Mom. Do you know that equipment that was being paid for by Medicare through hospice does not stay with you when you go out of hospice, such as the Broda chair Mom had? This means in a few days time we had no chair for Mom to transfer to that was safe for her. A regular wheelchair is not appropriate for someone like Mom. The Broda chair Mom had was being paid for through hospice, it was now used, but we could not just buy that one for a discount or anything, we would have to buy a new Broda chair for $5,000. Dad found a used, slightly adjustable wheelchair for Mom like this one but we quickly found out that you can't just put anyone into any wheelchair, it needs to fit them properly. Skin breakdown and bed sores are very common for patients like Mom but leading up to this time she had only one little spot that looked irritated which we quickly fixed. As soon as we had to start putting Mom in wheelchairs that were not the right fit for her, she started getting skin breakdown. It took over a month of research and calling around to find out how we could actually get Mom a proper wheelchair through insurance because they are too expensive out of pocket. Do you know that most home health agencies do not employ caregivers who are able to help with things like bathing a patient or caregivers who know how to use equipment like a Hoyer lift or who have training in medical care at all? Hospice comes in and does this but once hospice leaves it is very hard to find enough replacement caregivers who can do more of the personal and medical care. Do you know that no matter who good your care coordination team is that the medical system is so convoluted it can be nearly impossible to figure out how to navigate the system to actually get what your loved one needs? 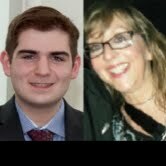 My Dad is a doctor, we have friends in the medical field, we have Mom's doctors, we know many people who work in assisted living facilities and nursing homes, we even have Care Coordinators, and still it has been extremely difficult to get Mom what she needs. Hospice knows how to get through the hospice billing system to get supplies but once you are out of that, the same rules no longer apply and they can't advise you on how to get what you need. Nursing homes and living facilities get their supplies through other systems and can't advise on how to get help for someone living at home. None of the systems overlap and so even the best people have a hard time figuring out how to help. Basically, the whole system is frustrating and it is very easy to get angry. Not only with the system but sometimes with the people helping you because you expect someone to know how to navigate the system. In reality though, our medical care system is so confusing that few people know how to work with it in any given special situation. So, be patient and compassionate with each other as you work to care for your loved one. What has been your experience with going from being in hospice to out?